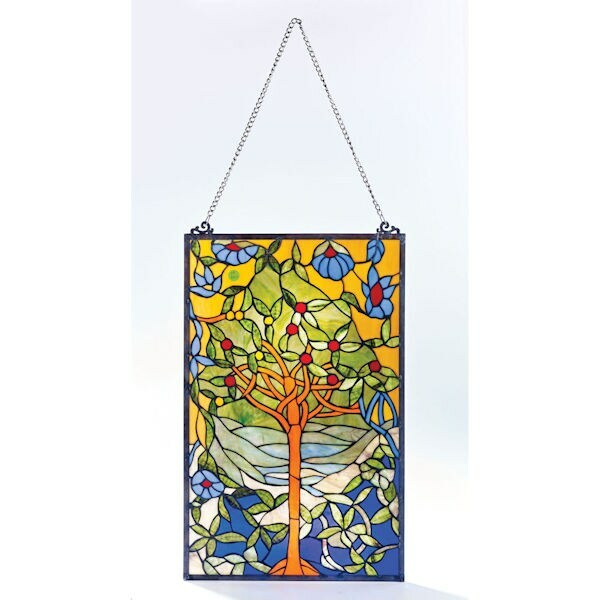 A joyful design in rich colors made to glow brightly in a sunlit window. Crafted Tiffany-style from 347 cuts of art glass joined with copper foil, branches twine and flowers bloom on a backdrop of rolling hills. 14" x 22". Hanging chain included.